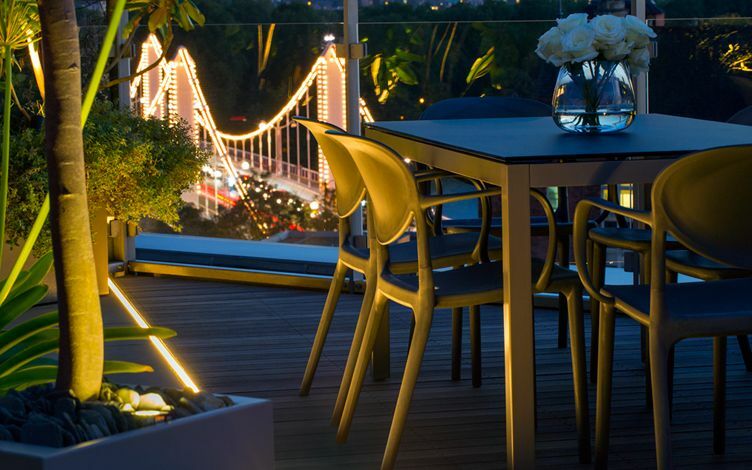 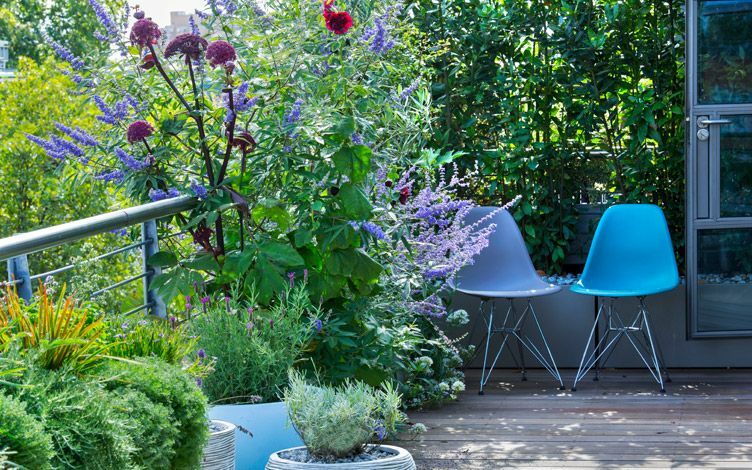 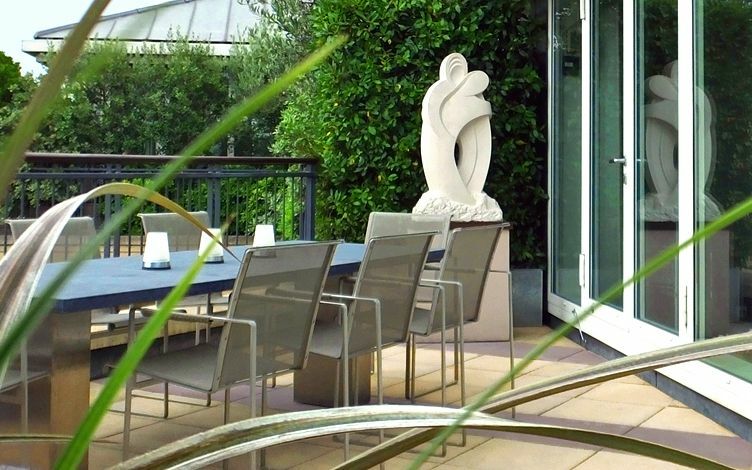 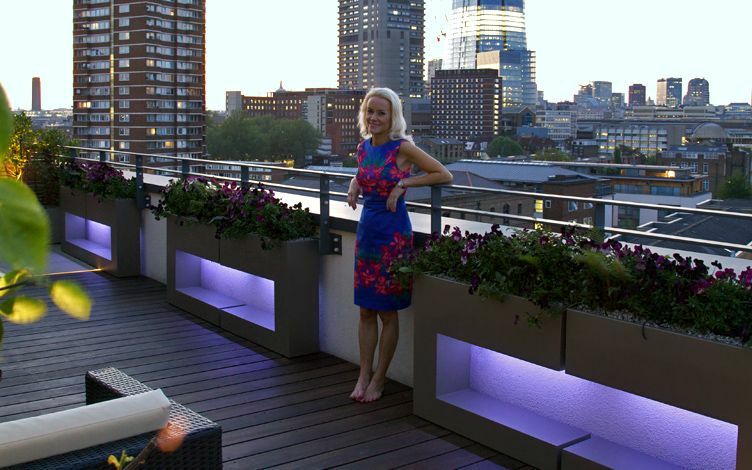 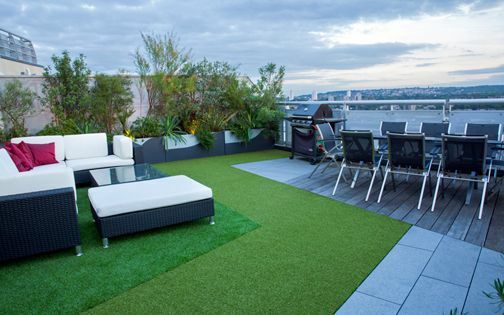 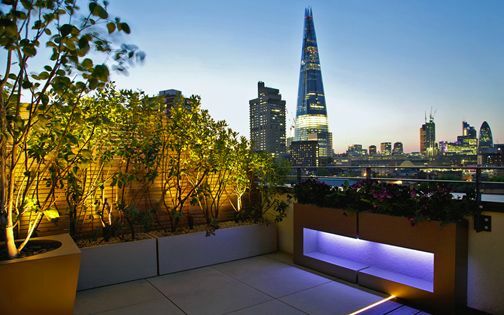 Contemporary roof terrace landscape design embodies every nuance of architectural pertinence, ecological relevance and social utility – a specialised and majorly multilayered discipline, aerially experienced across London's skyline in all its visual and environmental potencies. 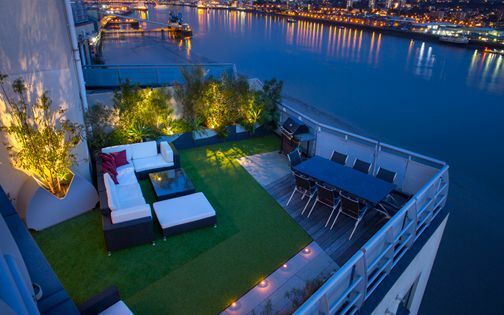 The diverse roof terrace projects which comprise the core of our 18-year landscape design portfolio are invariably interlinked, not only in their ethos, proximity to River Thames and collective panoramas, but also in our clients' proclivity for a low maintenance outdoor lifestyle, moderated by biodiversity and its significance in a perpetually built-up milieu. 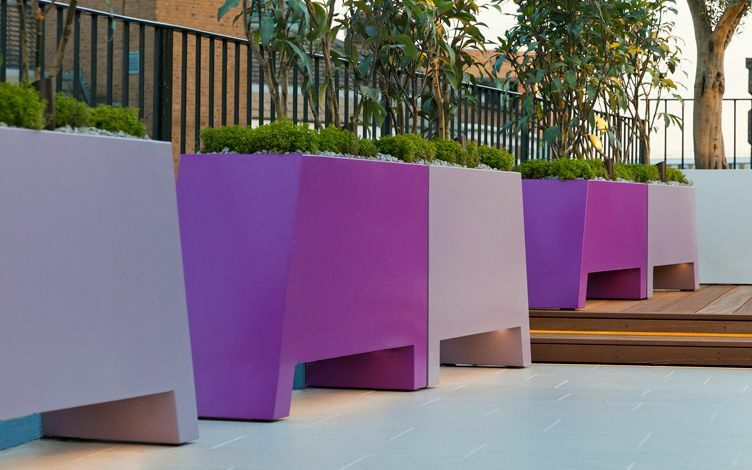 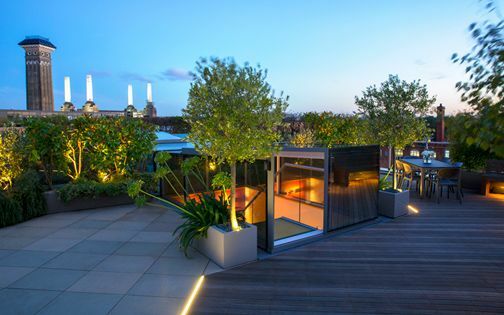 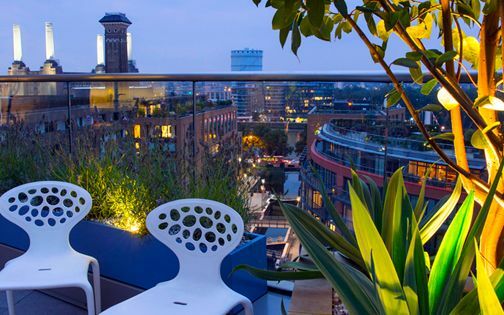 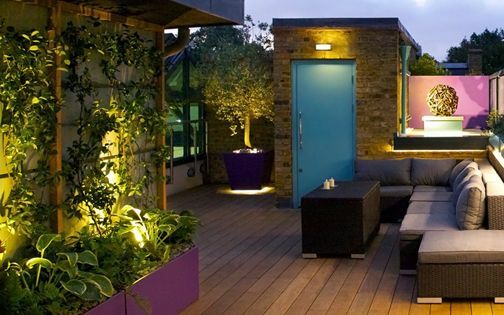 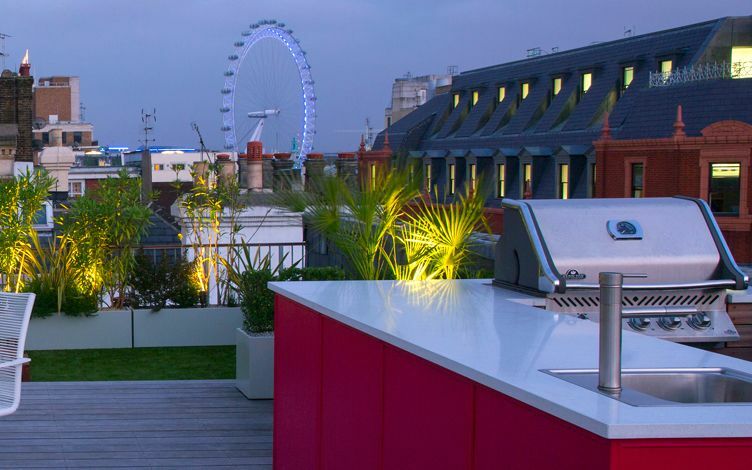 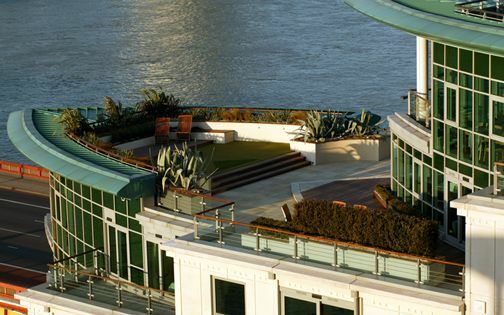 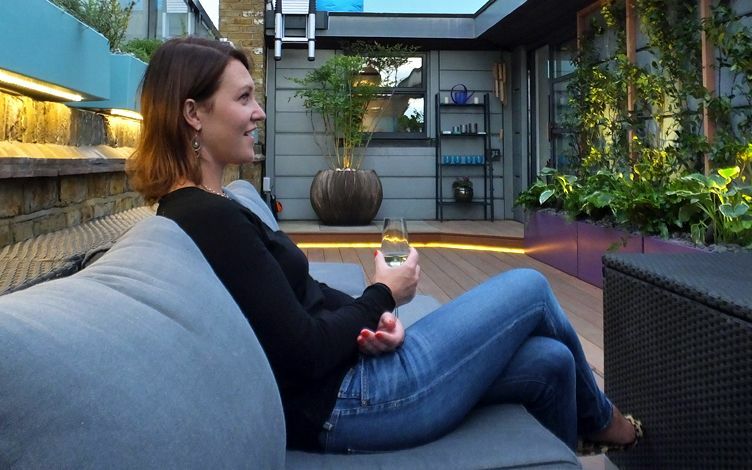 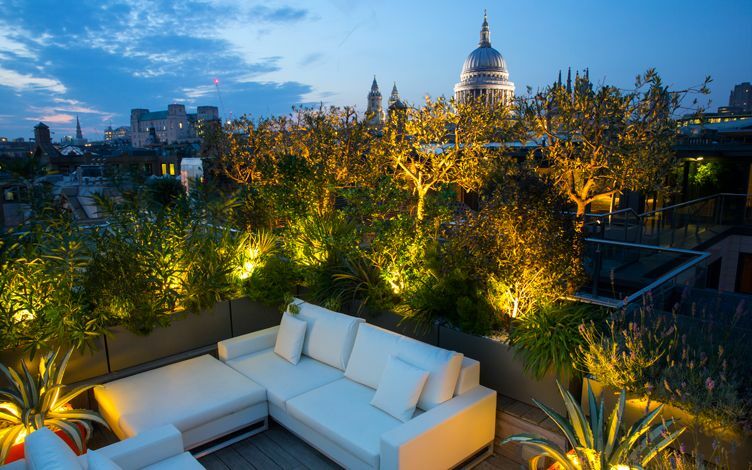 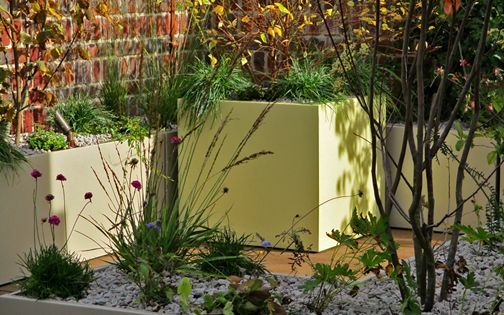 From Clerkenwell to Bermondsey, Shad Thames to Wapping, Pimlico and Chelsea, this ever-evolving matrix of London roof terrace landscape designs forms a dynamic and highly engaging perspective of rooftop living – highlighted in our cogent collection of inspiring roof garden design case studies. 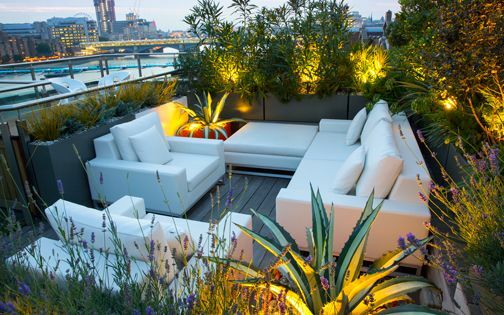 From design ABC's, through universal must-haves, to personal DEFO's, an inspired roof terrace landscape design seeks to surpass five-a-day aesthetics via four-dimensional frameworks personified by integrative foresight. 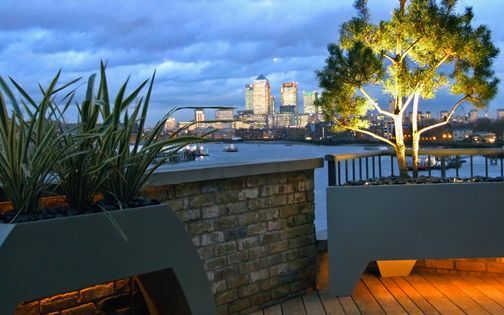 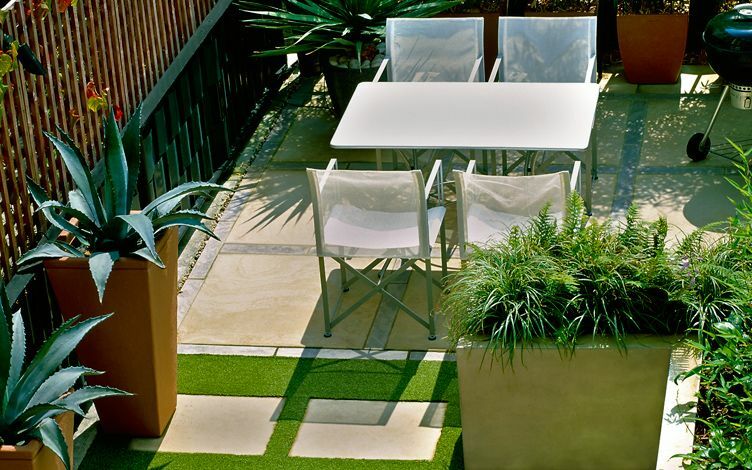 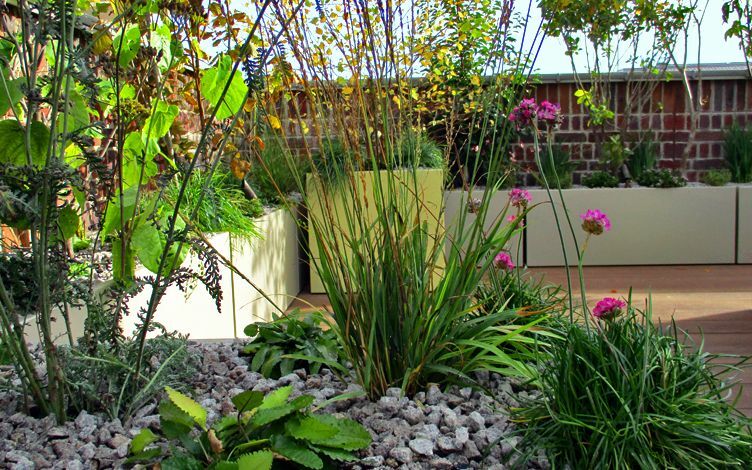 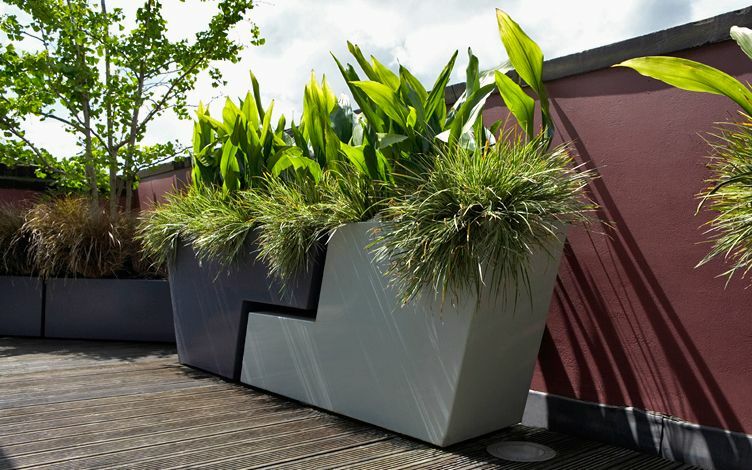 Rising from multidisciplinary matrices into urban stardom, roof terrace landscape designers compel artistic aptitude, botanical betterment and a contemporary connection with cityscapes, stealing the architectural scene and its derivational hotchpotch of piecemeal potboilers in producing authentic and personalised aerial pastures. 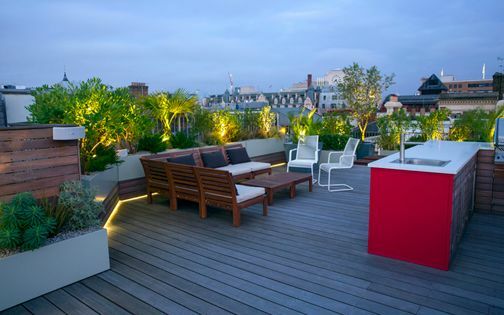 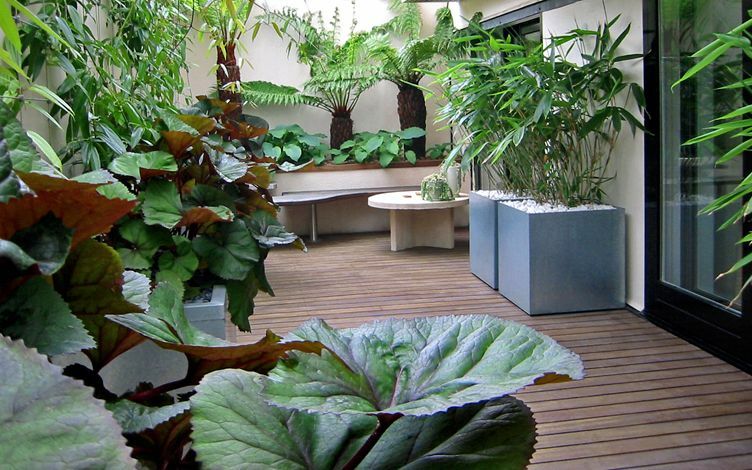 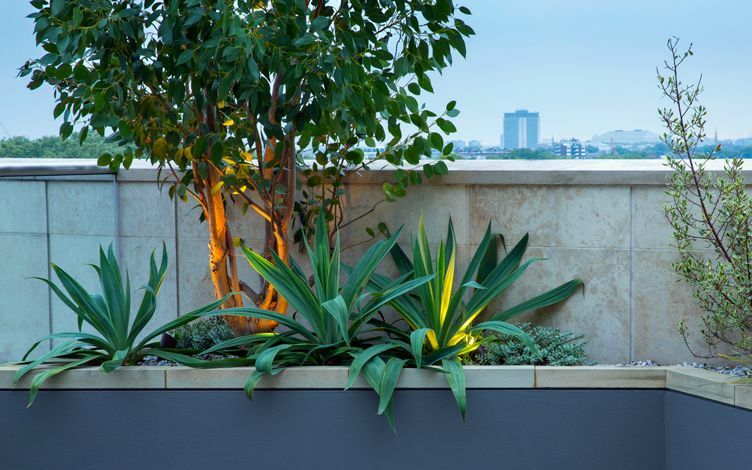 Roof terrace landscape designs synergistically rely on well-matched design & build methodologies, when constructional calibres convert high-fidelity client-designer dialogues into high-definition trialogues. 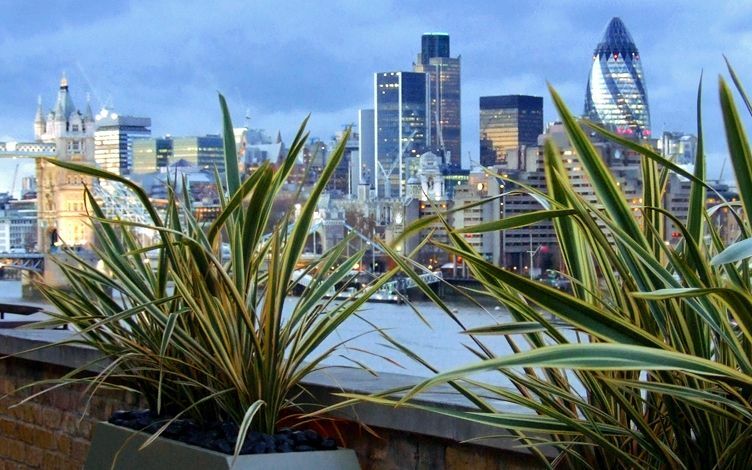 Brilliance of backdrop and sympathy of building blocks always entail collaborative balance backstage, where London roof terrace landscape designers immerse in logistics, detail, process and upkeep residuals. 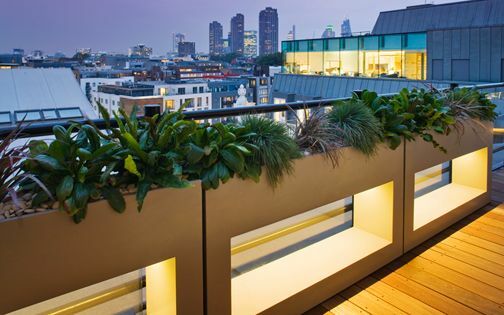 Inseparably, design creativity and construction craftsmanship secure beneficial benchmarks in London's consumptive pendulations, when facilitation, fabrication and, every so often, nuanced fabulousness drive spatial freedom, freshness and consequently frequent use. 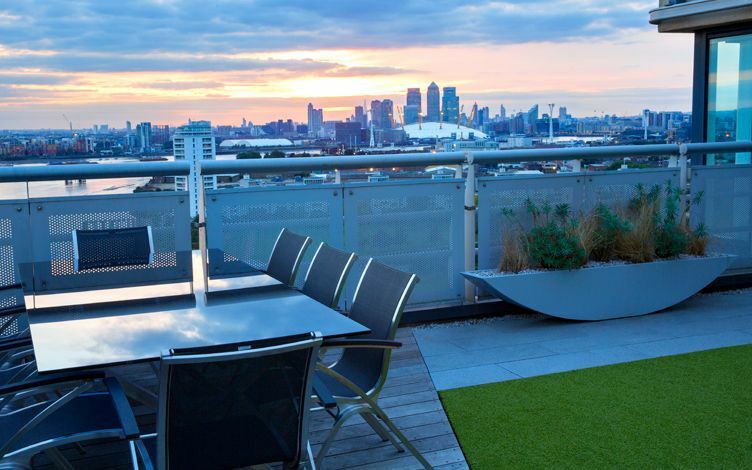 Loftily hoisted to breathtaking views, hoards of London folk crave happier hunting grounds, chasing aerial attainability amid sprawling unnatural beauty. 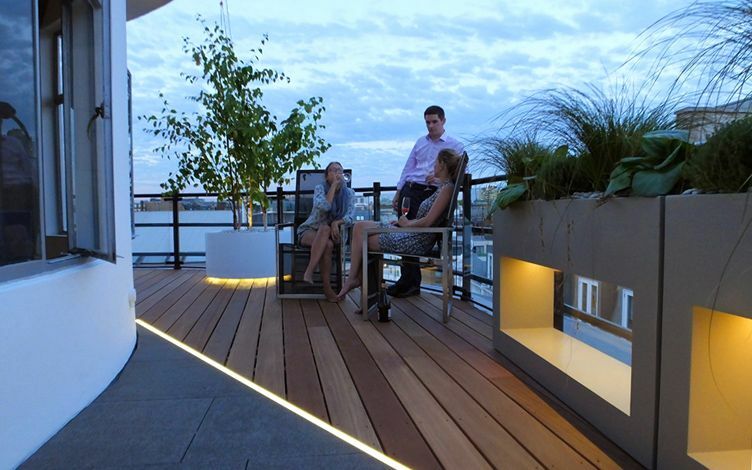 Building foundational design excellence fitted for social interaction, while maintaining ecological forethought, forms a daily mission for the modern roof terrace landscape designer, when user-friendly functionality, outdoor hardiness, focal flow, foliage fun and some foolproof furniture midway accomplish high-rise fortitude. 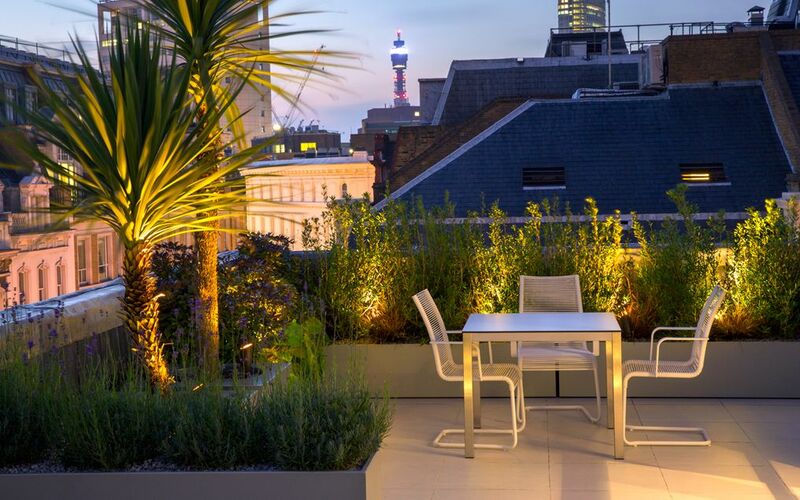 Well-adapted roof terrace landscape design imparts capability and boldness across finely tuned detail, remaining rather undaunted by budgetary constraints, melding liberating London rooftop narratives.